I have a custom list and would like to reference the information in a SPFX web part. I'm following the sharepoint-crud sample from github as an example. How can I make the fields appear in the api call with their actual column names instead of gibberish? 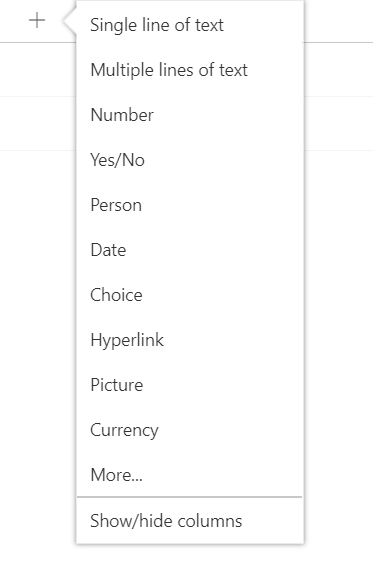 That is happening because you are creating list columns directly from the page. Instead of doing that, would suggest that you go to the list/library settings page by clicking on the gear icon in top right corner and then click on list or library settings. After that, click on create column option, do scroll down a bit and then do the needful. 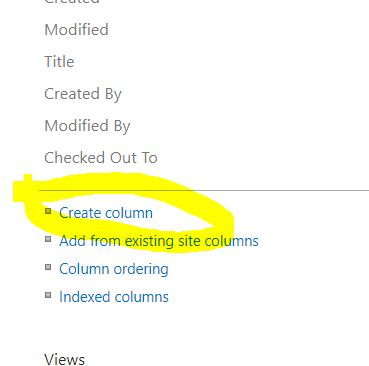 In the above link, check how we can create column in SPO as well as SP 2013/2016. This is the way we used to create columns in the old days. Not the answer you're looking for? 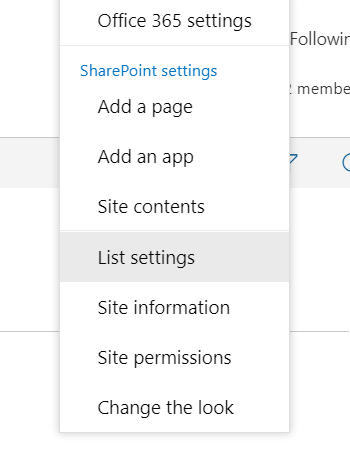 Browse other questions tagged sharepoint-online custom-list spfx spfx-webparts api or ask your own question.